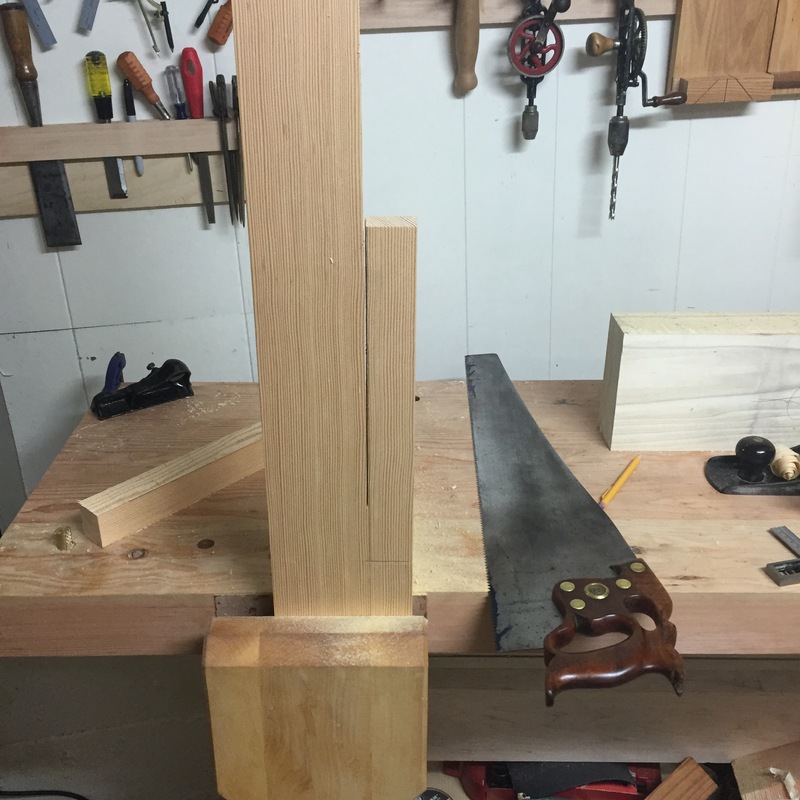 Last night I decided to tackle the first stretcher tenon in the same manner as the lap joints. 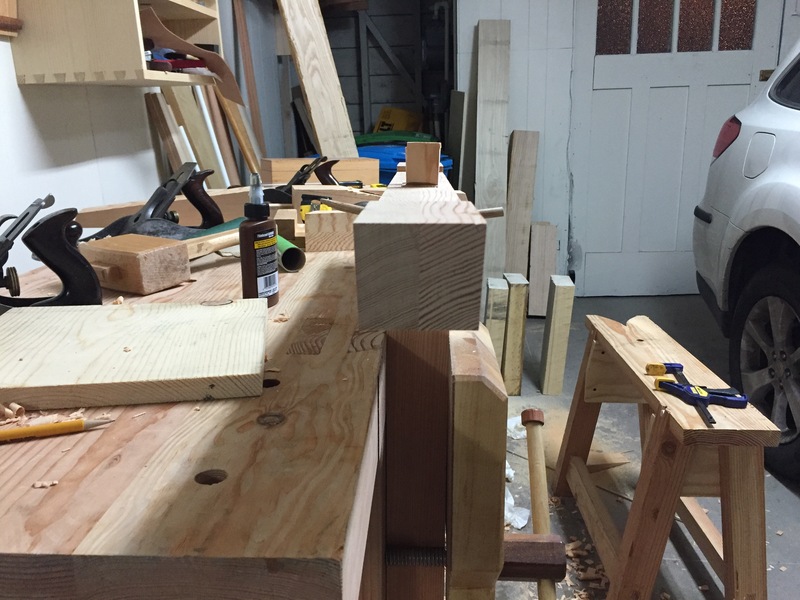 Once I had smoothed out the transition between the corbels and the stretcher (with the expected tearout) I cut the shoulders and some relief cuts (I used my larger miter saw for this). 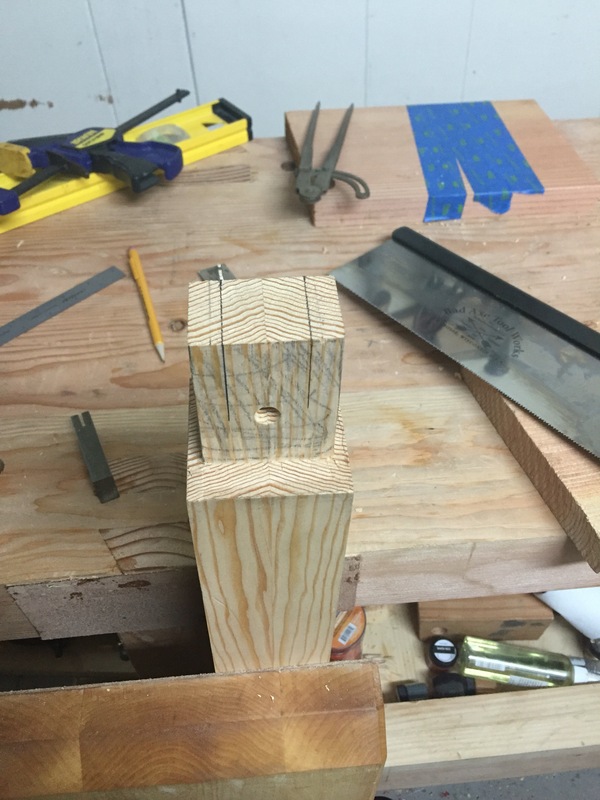 I then defined the top shoulder of the tenon. Next I rotated it in the vise and removed the waste block. 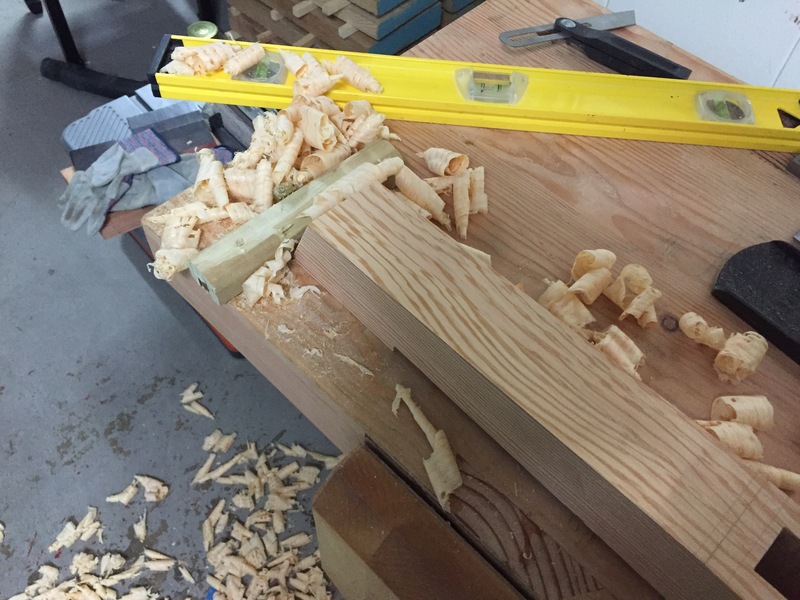 Now it was time to remove most of the waste with a chisel followed by the router plane. I used the removed waste block to help support the router so when I do the other side I think I will remove it before I make the relief cuts. Didn’t quite get finished up but it’s close. A lot of progress this weekend. 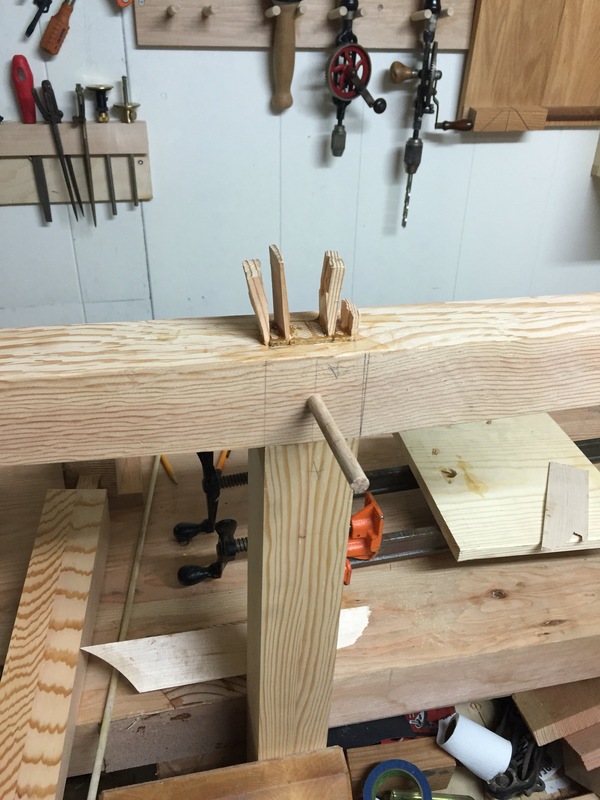 I finished assembling the second leg assembly and trimmed the wedges and pins. 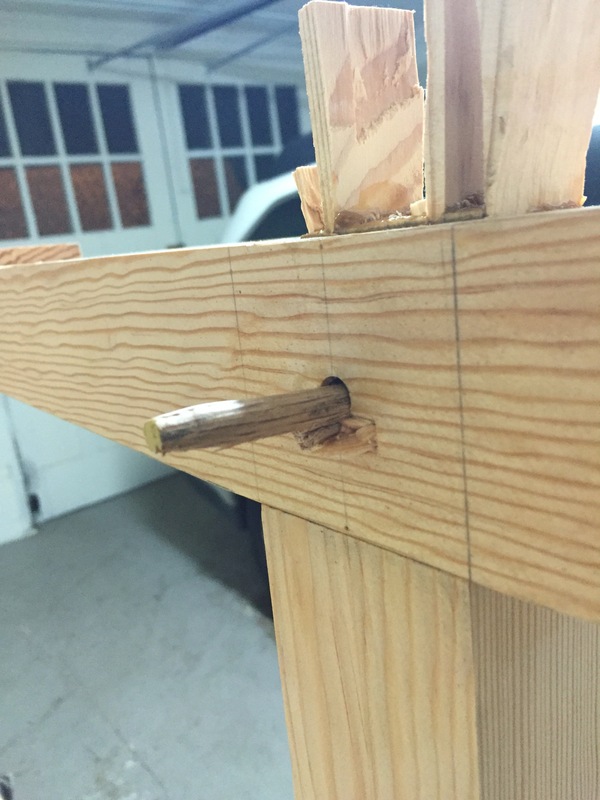 I also milled the cross piece and cut it to length. 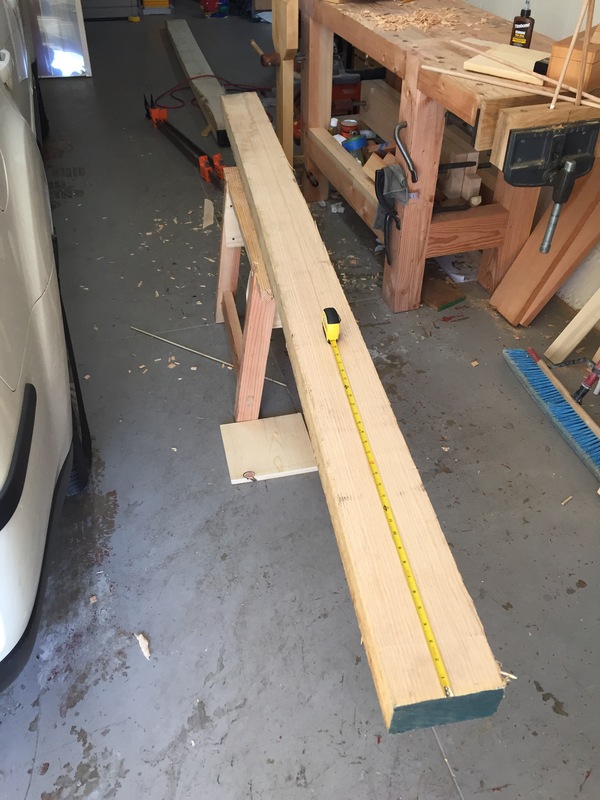 A couple of weeks ago I realized that the piece of construction lumber I had air drying in my garage was not going to work so I was forced to pick up a piece of kiln dried SVG from the hardware store lumber yard (this one board cost more than the rest of the base combined). Unfortunately, the widest piece they had was a 2×6 and the design calls for a 6 inch wide board. 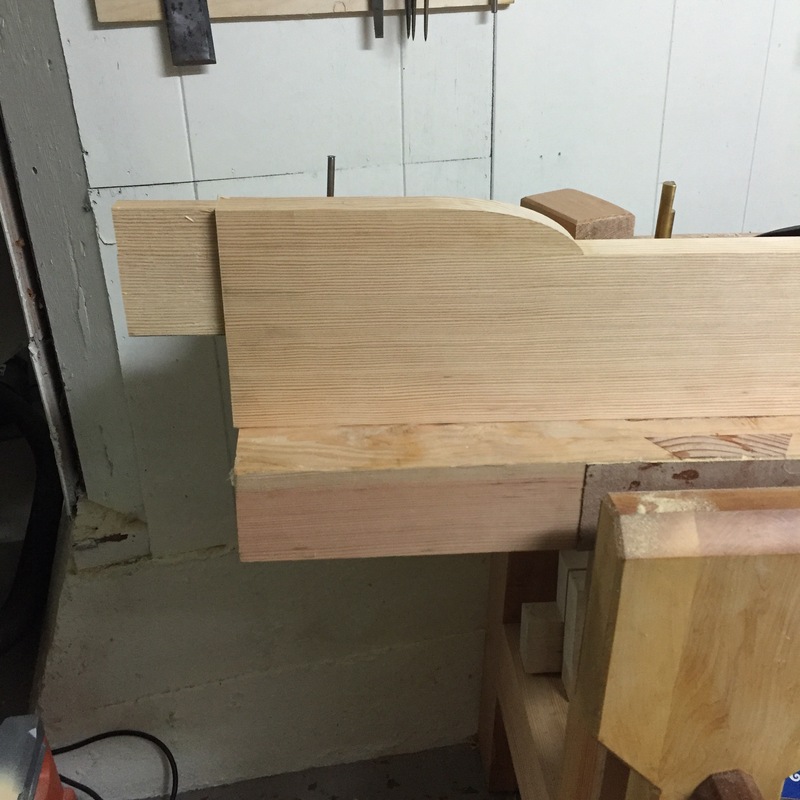 To make up the difference, I decided to add the corbels before cutting the tenons. 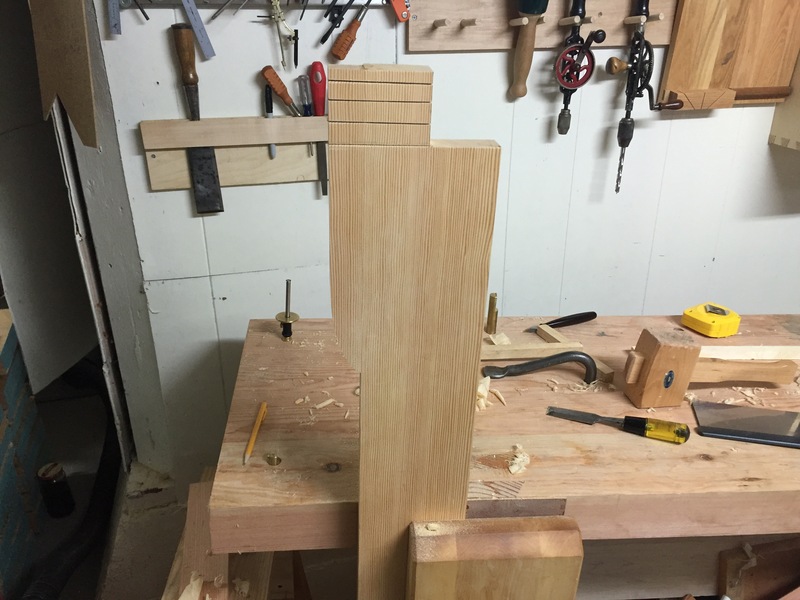 I lasted out the strips on the cutoff from the board and added 3 inches to make up for the tenon. 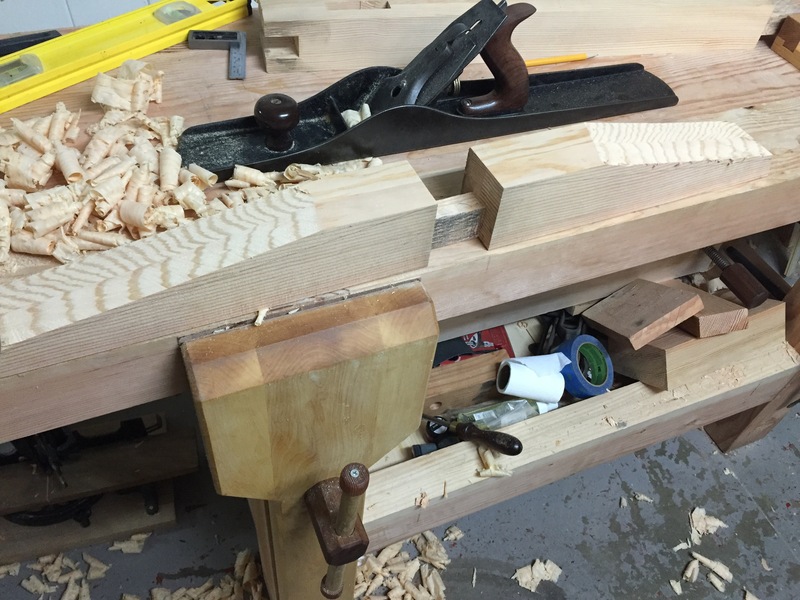 A little work with the draw knife, spoke-shave, and spindle sander gave me matching curves. 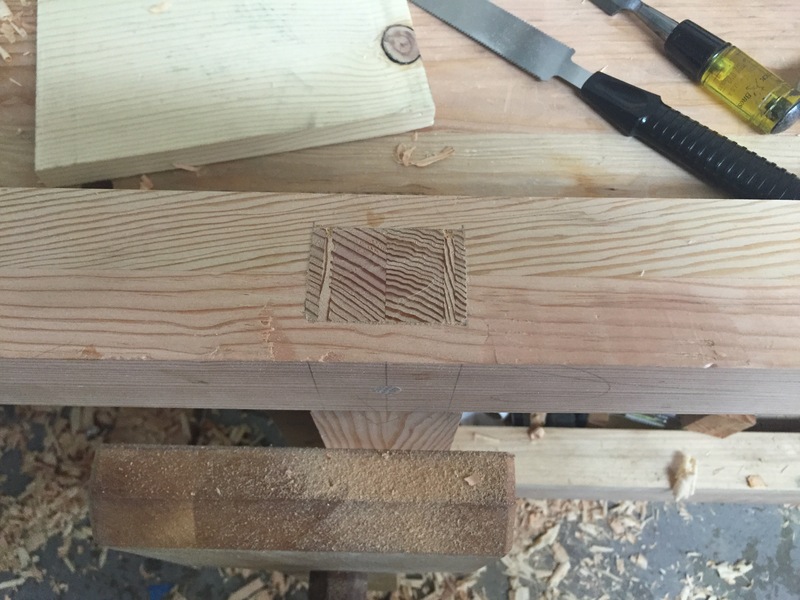 In the process I realized I had shaped the wrong end of one of the boards so the grain direction is the opposite of the stretcher… Oh well. 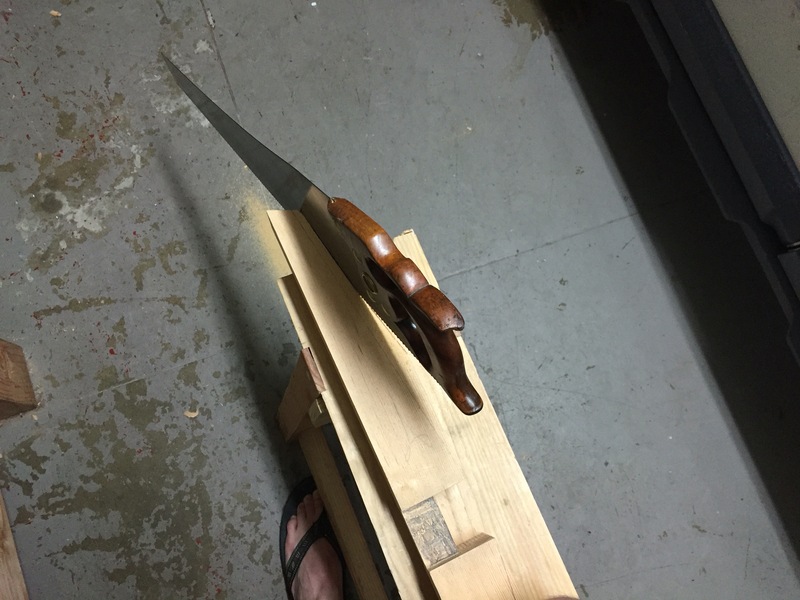 Tonight I will figure out how to cut a through tenon on a 5 foot long board. 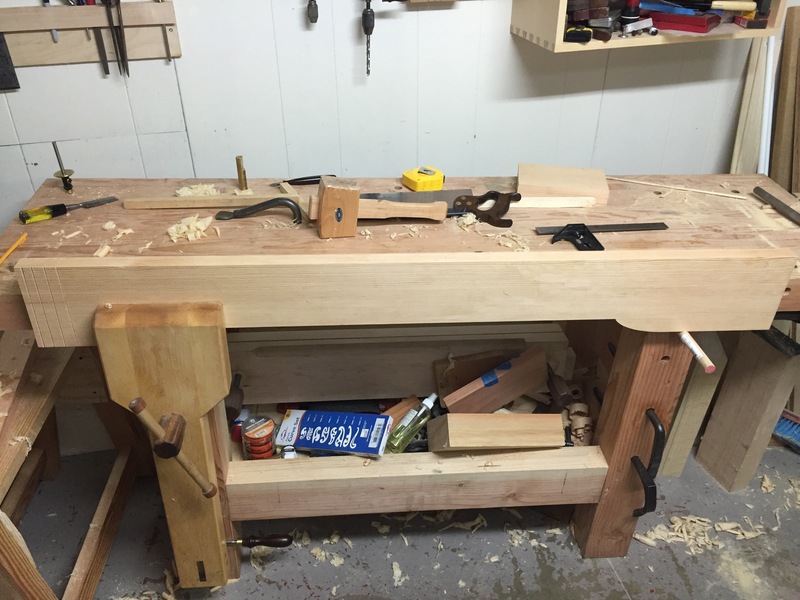 Since my Eucalyptus is making good progress on the drying front and progress in the table is going well I decided it was time to get the lumber for the chair legs. 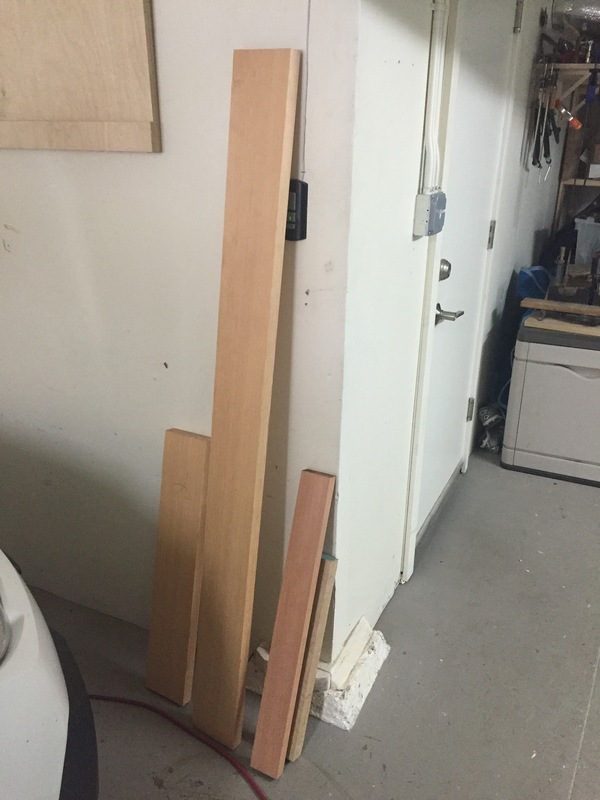 I have had zero luck finding suitable green lumber (my usual green waste contacts get very little oak except Coastal Live oak and no maple) so I made a trip to my usual hardwood supplier in the city. I was hunting for red oak but after seeing ash is slightly cheaper so I picked up some 8/4 ash in addition to some 12/4 red oak (none of the 8/4 had arrow straight grain). 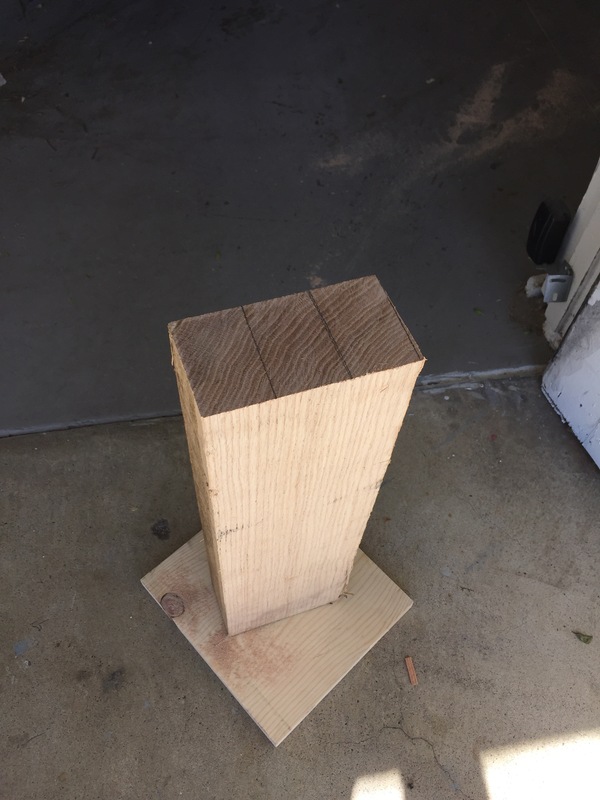 I also picked up some 12/4 yellow poplar since I have decided to make Chris Schwarz’s Staked Back Stool (from the Anarchist’s Design Book) as a learning project. First step was to chop the red oak into 19 inch sections. I attempted to use my froe to split off the legs but the 12/4 material is too thick. Looks like I’ll need to set up the band saw. While I had the planet out for the restless table I decided to run the poplar blanks through to get them to a consistent thickness. I will slice them when I set up the band saw. After some advice from Greg , I sanded the pin down with a heavy taper and the other side went down without a hitch. I’m slammed with work at the moment but since my glue showed up I decided to start putting the base together. 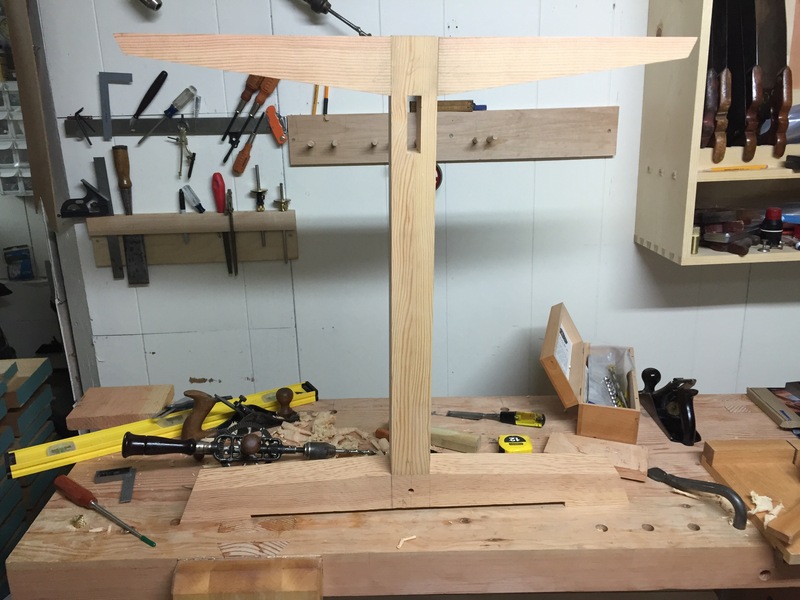 The base went in some clamps and the pin was driven home. Looks good from this side…. Unfortunately a splintering sound alerted me to trouble. I had to much offset, too much taper, or both and I ended up with a split pin and some blowout. 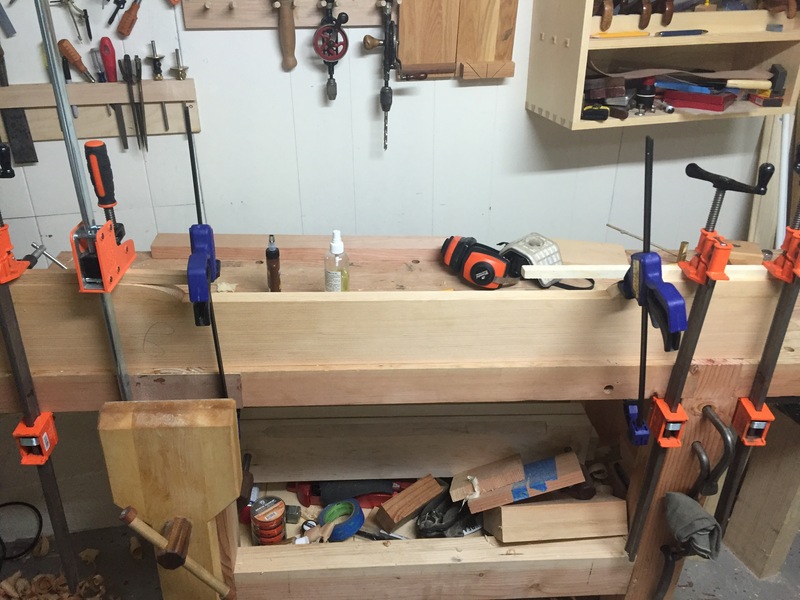 We had family visiting over the weekend so I was not able to get any shop time until Sunday night. I finished drilling the holes for my pins, cut the slots for my wedges, and cut my wedges. Pins were tapered and waxed and everything was ready to go only to discover that both bottles of liquid hide glue had expired in February…. 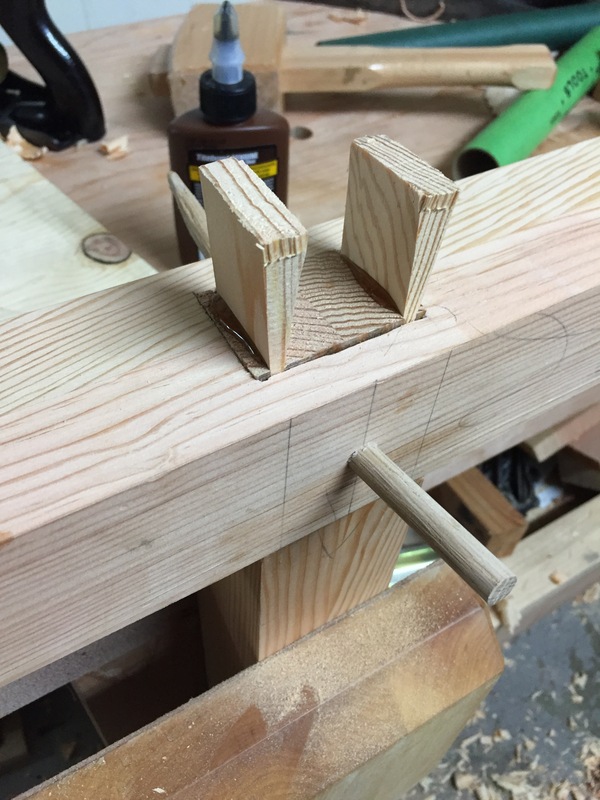 Update: These cuts were way to far from the edges to the wedges could not expand the tenon. 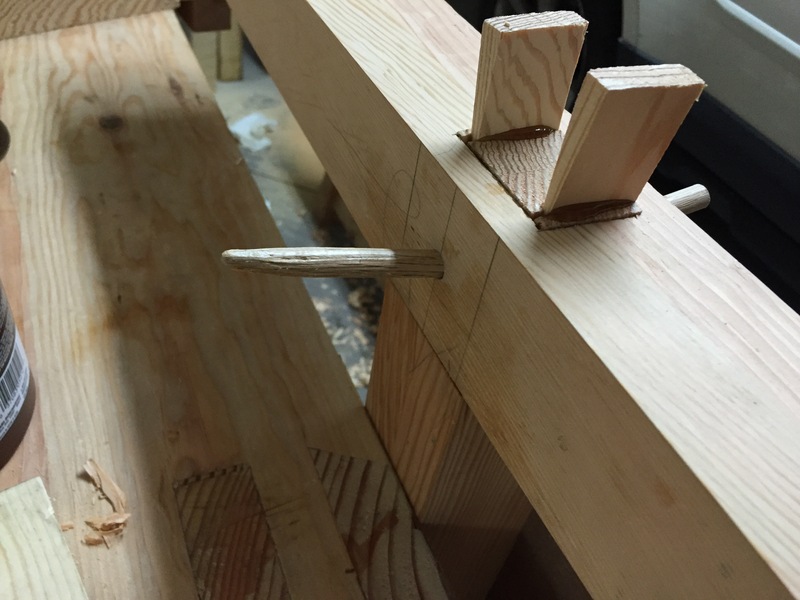 For the other tenons they were only a 1/4 inch from he edge.